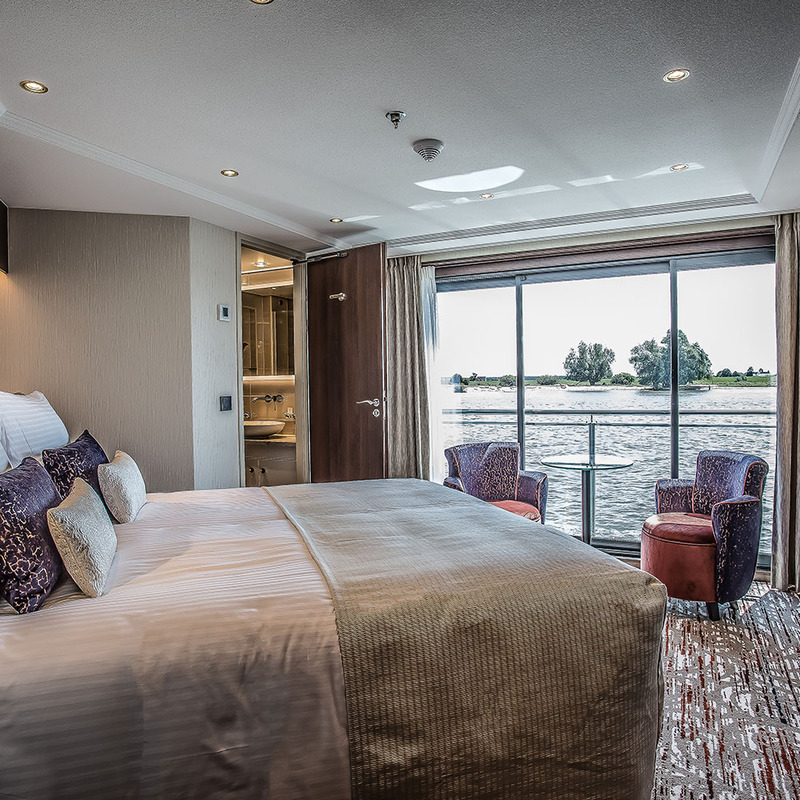 After years of painstaking research to create the most perfect vessels afloat, a new era in river cruising dawns as we introduce our brand new, state of the art, ‘all suite’ ships. 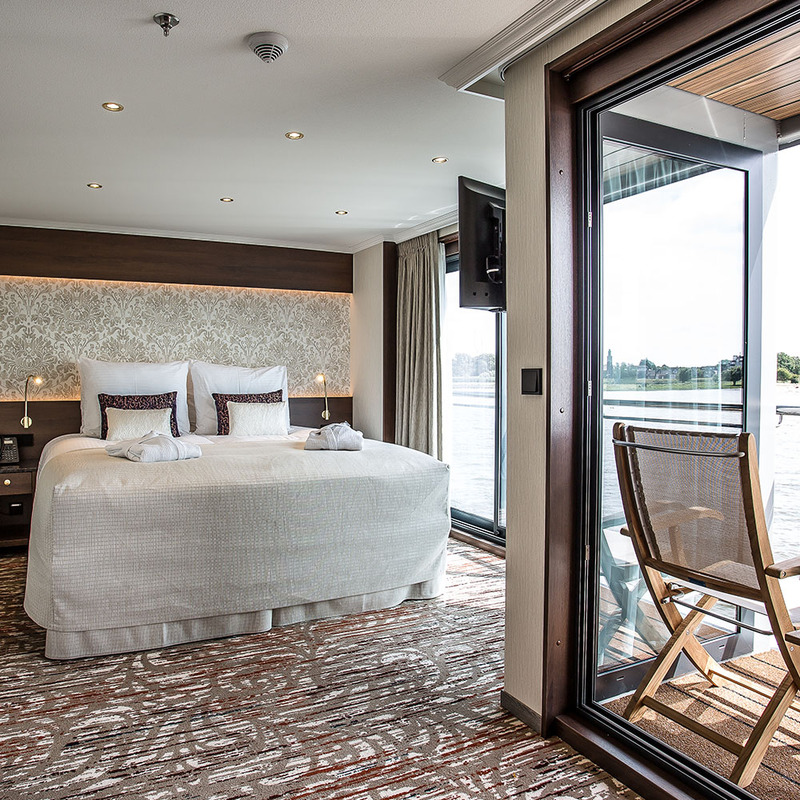 Swiss operated and truly world-class, we are absolutely delighted to present the five-star MS Robert Burns. The bathroom features a powerful fully glazed shower with a large ‘rainshower’ head, superbly refreshing after a hard day’s sightseeing. Clever design allows for ample space, and contemporary lighting, complimentary cosmetics by ‘Crabtree and Evelyn’ and fluffy towels, makes preparing for the day ahead an absolute pleasure. The chic styling of a talented designer’s eye extends to the entire suite with generous use of hand-crafted tropical hardwoods blended with premium fittings, discreet thoughtful lighting and a colour scheme of calming neutral tones, creating an ambience to put you in the most relaxed frame of mind from the very first minute! A full size bed assures a good night’s rest in crisp cotton linen of the finest quality - a turndown service each evening adds the finishing touch. 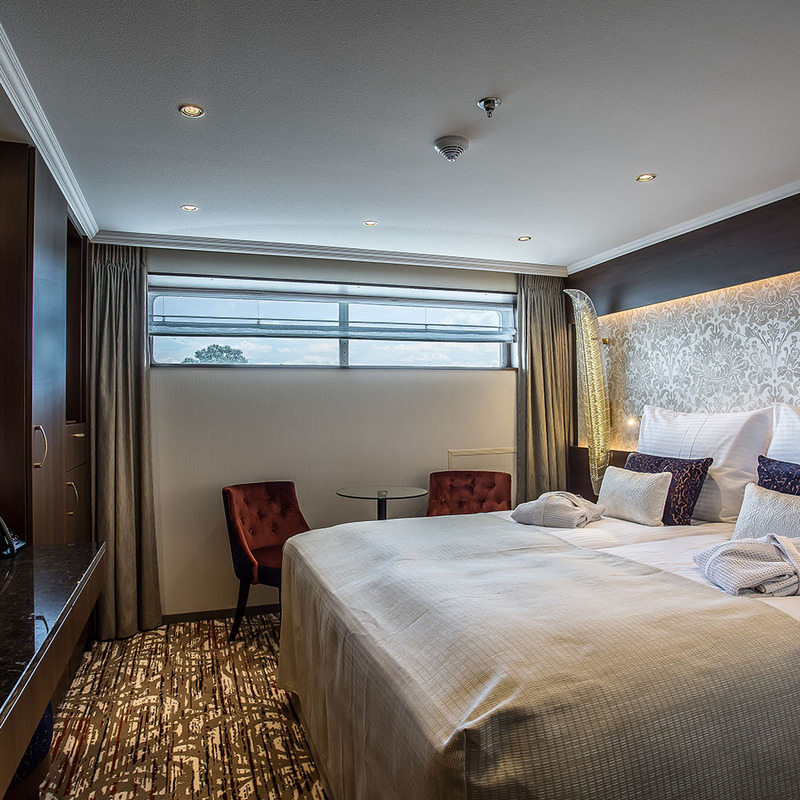 Please note all suites have two twin beds with individual bedding which can be moved together or separated accordingly. 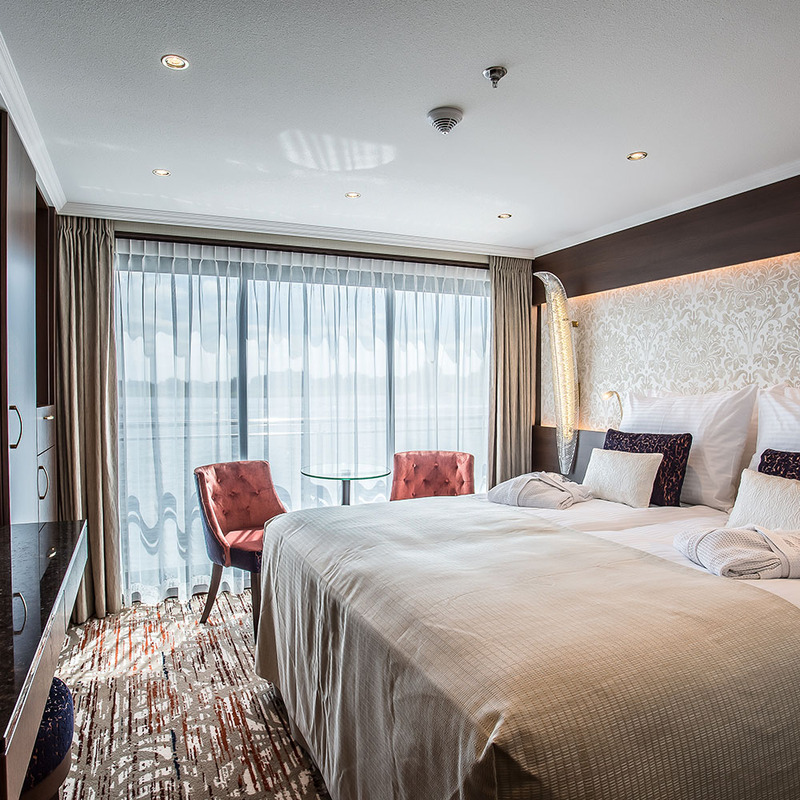 You will enjoy a particularly generous seating area with two chairs and a table, enabling you to unwind in comfort in the privacy of your own suite whilst a bow camera conveys live images of the ship’s progress to your flat screen TV, ensuring you won’t miss a thing. 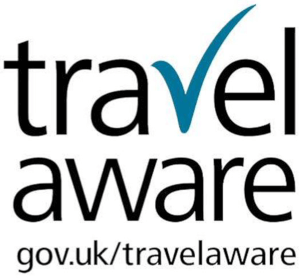 Careful consideration has been given to the tiniest details with individually controlled air-conditioning so you set the temperature that you desire, a hairdryer, safe, minibar, telephone and the convenience of tea (our meticulous planning even extends to familiar teabags!) and coffee making facilities ensure a familiar home from home experience. Suites on the Diamond (upper) and Ruby (middle) Decks have ‘French Balconies’ – panoramic floor to ceiling sliding glass doors bringing riverside life just that little closer!